With the 2016 LCS Summer finishing Week 6, we're back with a new edition of This Week in eSports! Continue reading for details on current LCS Spring Split standings, regional standings, various team & player news, roster updates, and changes to the NA LCS Friday schedule! 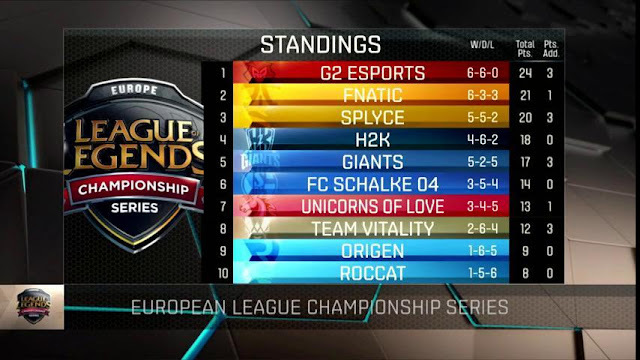 The 2016 LCS Summer Season is well underway as we finish Week 6! Friendly reminder that both EU & NA are running on different schedules than previous splits. The brackets and standings below are up to date as of Sunday, July 10th and, as always, VODs can be found here. "TL;DR: NA LCS Friday matches will begin at 3:00 PM PT starting Week 7 - July 15. As you may have heard on the NA LCS, we’re moving up the Friday night matches to start earlier at 3:00 PM PT beginning on Week 7 - July 15. The Saturday and Sunday matches start times remain unchanged. After hearing pro player and fan feedback about the late start time - including the short turnaround between days of competition - we decided to start the NA LCS two hours earlier. The schedule update should make it easier for the night owls in EU and East Coast fans to be able to catch the Friday night games live. The start time change was messaged to teams and ticketholders at the end of June. We’ve also updated the Lolesports NA LCS schedule. Due to increased demand for tickets, we’ll also be moving the TL vs. TSM match on Sunday, July 17 to the Battle Arena to accommodate a bigger live audience and NV vs. APX will be swapped to the Battle Theater. 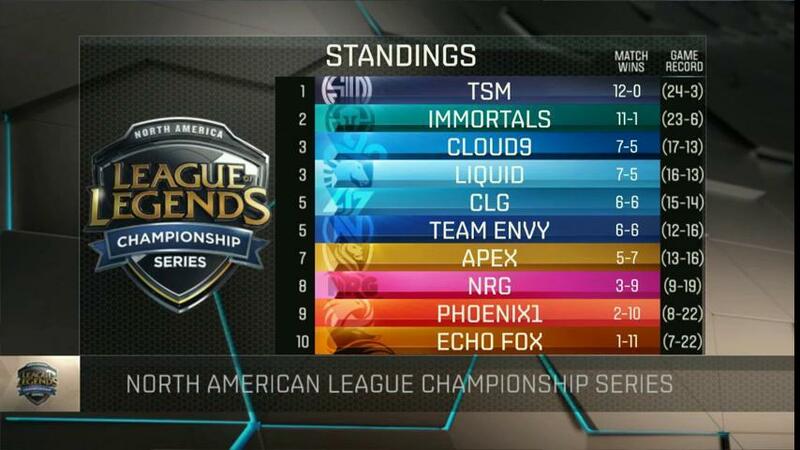 Don’t miss the NA LCS at a new time starting with Counter Logic Gaming vs. Immortals on Friday, July 15 at 3:00 PM PT." Jung "Fixer" Jae-woo joins Pheonix1. Kevin "Kez" Jeon joins Echo Fox as a sub. Alvar "Araneae" Martin Aleñar joins Origen as coach, replacing Nicholas “Nicothepico” Korsgård. Kim "Dietme" Seung-hoo joins Virtuoso Gaming. After their victory at the CBLOL Playoffs, INTZ e-sports have qualified for the 2016 ICWQ.